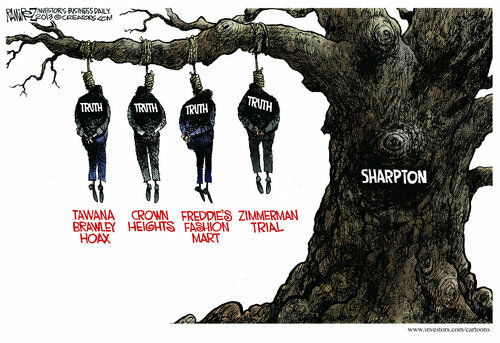 Al Sharpton claims he has briefed Barack Obama, Eric Holder and Hillary Clinton on the Supreme Court's recent Voting Rights Act decision. This Monday afternoon I, along with a dozen other civil rights and voting rights leaders, joined President Obama and Attorney General Eric Holder as we briefed them on our outrage at the Supreme Court's recent decision gutting Section 4 of the Voting Rights Act... On my way to Washington, D.C., I happened to be on the same flight as former Secretary of State Hillary Clinton. When we landed, she and I had an impromptu conversation on this very issue, and I updated her on the August 24th march that National Action Network (NAN) and Martin Luther King III have planned to commemorate the 50th anniversary of the 'March on Washington' where his father delivered his historic 'I Have a Dream' speech. Feel free to write your own caption for this big, hot mess in the comment section!